AT – MD Post Training Hike…Feeling good!!! I met my hiking pal at the West View parking lot on Sugarloaf Mountain in Montgomery County, Maryland for our training hike. I had everything in my pack except food in the bear vault. We started downhill with full packs hoping to make this loop before the heat set in! Temperatures were to soar to 85 degrees on this sunny October day. The pack felt good…actually better than I anticipated. But then again, I was going down hill, and a nicely graded downhill at that! After dropping about 500 feet we crossed Mt. Ephraim Road and started up! I kept waiting for the worst, but it didn’t come and we made it easily to the view from White Rocks after a rocky climb of 300 feet. And then came the roller coaster as we traversed another 200 feet up to one of the lesser summits on the blue trail at an elevation of 1015 feet, down to 750 feet elevation, then back up to another lesser summit at 995 feet! After that the rolling is a little less intense. The last hill was hot and slow as the heat had really begun to deliver a beat down. Final verdict…great training hike! And glad we got done before the real hot afternoon heat set in!! 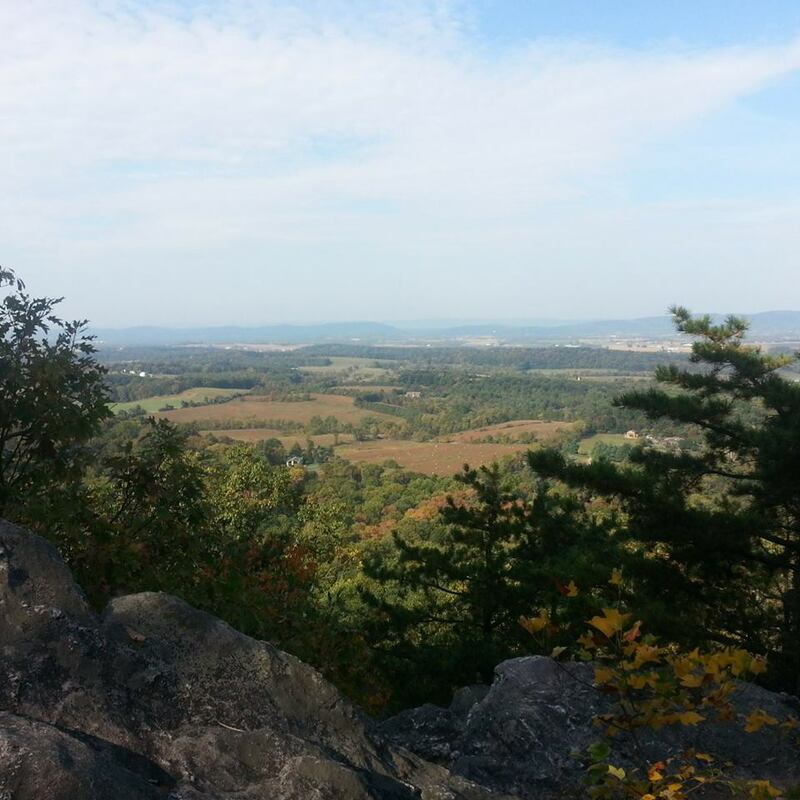 This entry was posted in AT-Maryland and tagged Hiking, Maryland, Recreation, Sugarloaf Mountain.